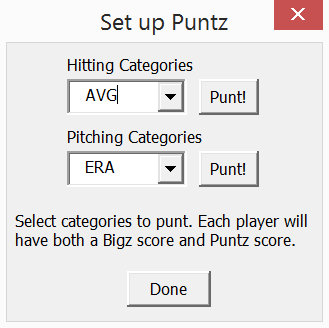 New this year - The ‘Update Data’ feature now allows you to directly pull in updated projections. Past users of the Board will understand this is a huge upgrade and should greatly reduce the # of times you have to re-download the Board! 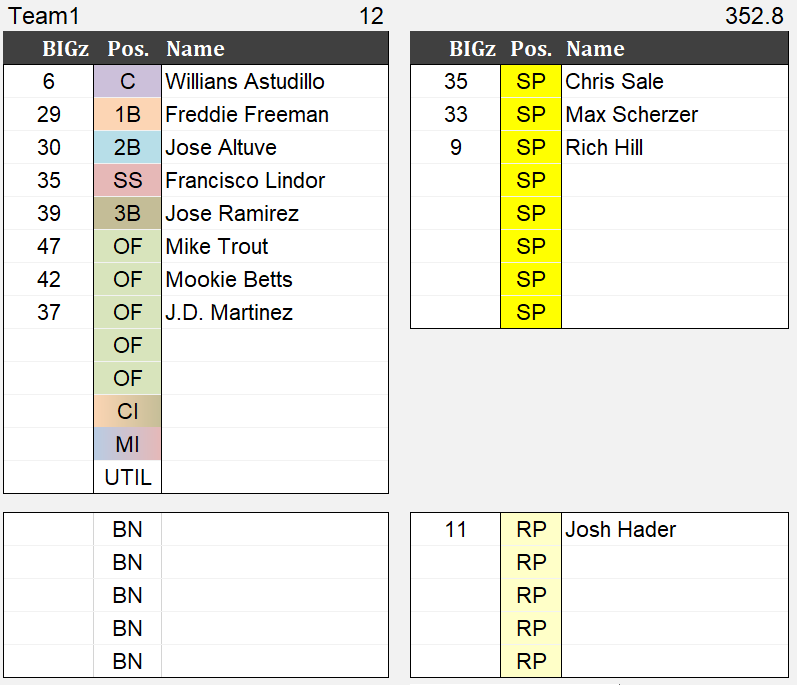 After using these player value calculation methods for years to dominate my competitors in fantasy baseball, I decided to make my sheets into something that a much wider audience would find useful. 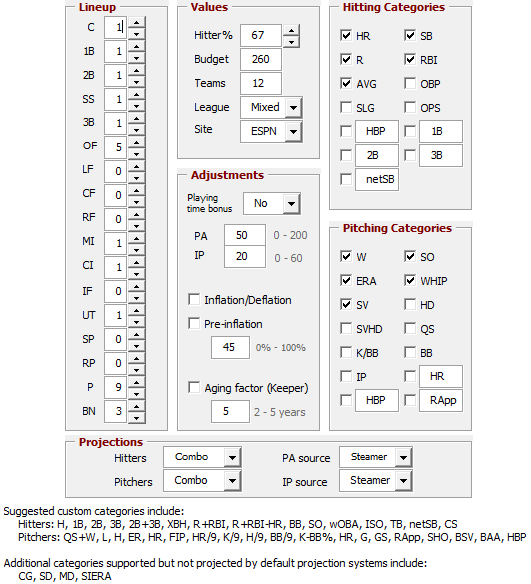 I've personally put a ton of elbow grease into building this sheet from the ground up to be compatible with (nearly) every type of popular season-long fantasy baseball league out there. 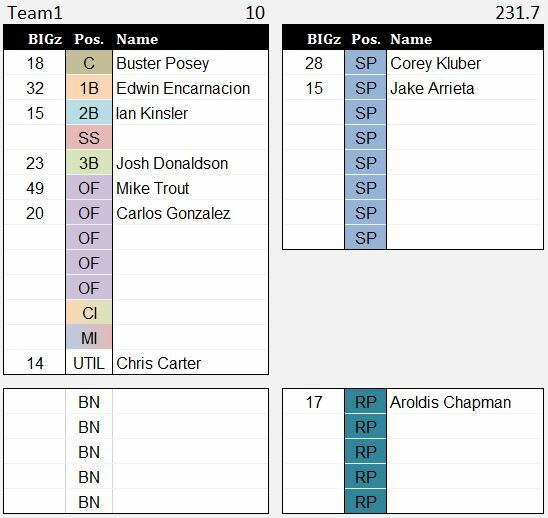 On the strength of the Big Board, I've worked my way up to two championship titles in the top division of the premier-league-style "Sultans of Stats" and will be playing my fourth straight year in the top division this year. 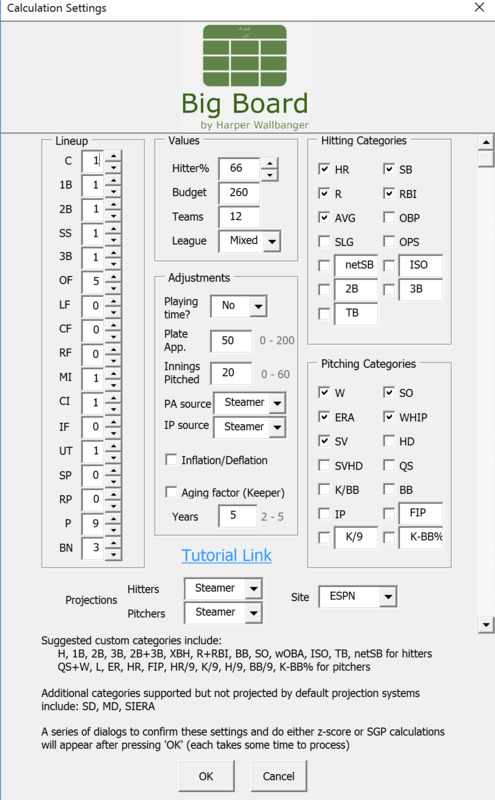 Comes pre-loaded with over 250 modified projections which account for factors your favorite projection systems might miss! Please keep in mind that this is an Excel sheet, so you will need to use Microsoft Excel to access it!